“Full of dazzling radiance, soprano Jessica E. Jones lit up the intimate space as virginal Lucia driven mad by unrequited love. She supplied her own thunder and sparks to Donizetti’s vocal fireworks.” -Houston Press. Ms. Jones is quickly establishing herself as a leading American soprano. Critics have praised Ms. Jones calling her “astonishing” “thrilling” “fabulous” in performances throughout the United States. She was district winner, audience favorite and regional finalist of the Metropolitan National Council Auditions. A versatile artist, her repertoire spans from early music to contemporary opera. Her interpretation of bel canto and American opera have garnered much attention. Her bel canto roles include Lucia in Lucia di Lammermoor, Elvira in L’italiana in Algeri, Desdemona in Rossini’s Otello, Adina in L’elisir d’amore, Corinna in Il Viaggio a Reims. As an interpreter of American Opera she has been in high demand. 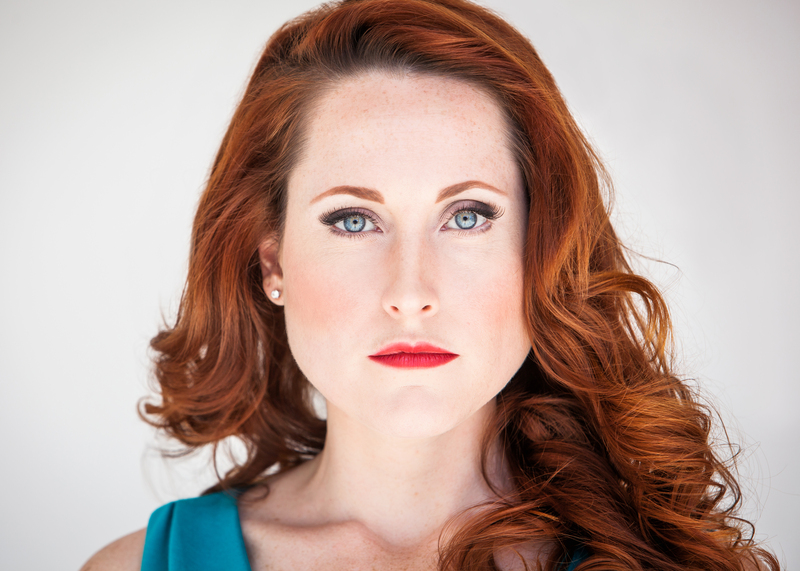 She will be in the world premiere of The ®evolution of Steve Jobs as Chrisann Brennan with Santa Fe Opera, has workshopped Roscoe by Evan Mack as Veronica with Opera Saratoga and has portrayed Lightfoot McLendon in Floyd’s Cold Sassy Tree, Lulu in Elmer Gantry, and Rosasharn in The Grapes of Wrath. Also in her repertoire are Pamina in Die Zauberflöte, Rosalinde in Die Fledermaus, The Governess in The Turn of the Screw, and Beatrice in Daniel Catán’s Il Postino, Lauretta in Gianni Schicchi, and Erste dame in Die Zauberflöte. She has performed with Santa Fe Opera, Sarasota Opera, American Lyric Theater, Utah Opera, Utah Symphony, Opera Idaho, Opera Saratoga, Opera in the Heights, Sugar Creek Symphony & Song, and Crested Butte Music Festival. Upcoming engagements this season include The ®evolution of Steve Jobs as Chrisann Brennan with Santa Fe Opera and Euridice in Orfeo ed Euridice with Florida Grand Opera. Ms. Jones holds a master’s degree in performance from the Moores School of Music.